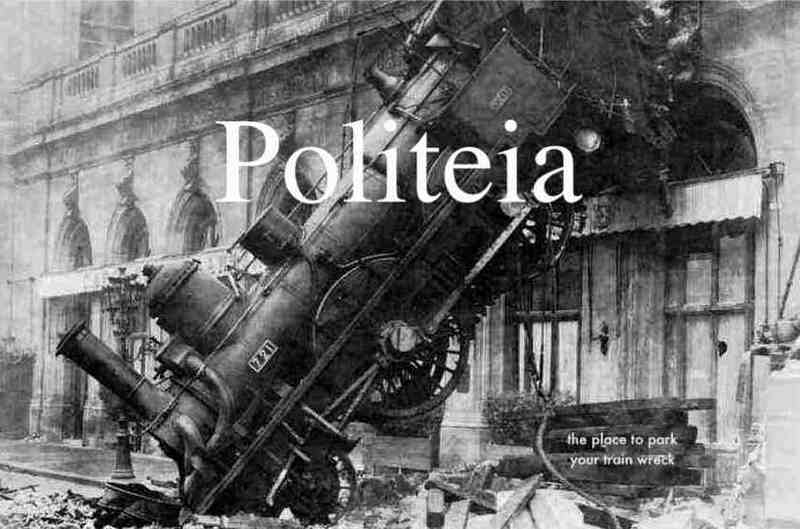 Politeia: Nations Are Rebelling Against EU Dictats: Will the Euro Survive? Nations Are Rebelling Against EU Dictats: Will the Euro Survive? 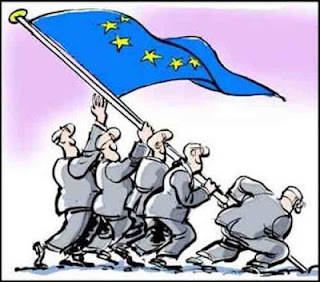 The #FisCom is the Euro elites' final hope against the collapse of the common currency. It formalizes what was part of the Maastricht Treaty, that laid the foundation of the euro zone. 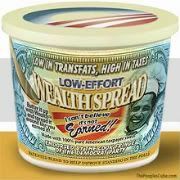 It stipulated deficits must be no more than three percent of GDP. France and Germany were the first to jettison the requirement in the early naughties. Now it has come back to haunt them. But the Fiscom does more: it requires governments to have their budgets checked and signed off by the overlord in Brussels before the national parliaments can put their rubber stamp. In effect, the core business of parliaments - the budget right - has been handed over to Brussels without so much as by your leave. Greece - The new paradigm in the run up to the general elections on May 6 is the anti versus the pro bailout narrative running across the political spectrum. It leaves the main stream socialist party (PASOK) isolated. Greece looks set to elect a majority of parties against the bailout. The leader of the leading right-wing New Democracy Party has always refused to sign the troika's loyalty declaration, which is why Samaras' actions are eyed suspiciously. Italy - Mario Monti, the troika-dropped techno bankster had this to say to journalists last week: "While budget discipline was needed, it must be accompanied by policies that drive economic demand". Fully on board the austerity drive, is Super Mario. Ireland - Ireland, like Greece a bailout country. The last budget complies with the Fiscom rules. Neverthess Ireland is having a referendum on 31st May. So Merkel's 'consensus' of 25 government leaders could become 24. The latest poll bears out this scenario. The exit of a member state was always to be avoided at all cost. It was unthinkable even a few months ago. Spain - Spain's independent provinces are giving the newly elected conservative Rajoi government a very hard time. Centralization would trigger a national revolt against the government in Madrid. Rajoi has already told Merkel where to stick the austerity targets. So he is negotiating about the ability to negotiate with the Fiscom. France - Merkel's partner, Nic Sarko looks set to lose the presidential elections on May 6. His rival, Monsieur Hollande says he won’t join the FisCom unless Merkel agrees to set growth targets as well as austerity targets. So he will be negotiating the scope of the FisCom. Netherlands - After the right-wing minority coalition lost support of Geert Wilders following an austerity drive to get the country to comply with the FisCom, the rump cabinet joined forces with left-leaning red/greens to agree on an a package that does. It combines higher taxation without reforming the extensive subsidy program. Apart from a VAT hike set for October 1, nothing may come of the agreement, whose sole purpose seemed satisfying the Fiscom regulations. Elections will be held om September 12.The new coalition may well set other priorities. Czech Republic - Like Britain the country has opposed the Fiscom from the get go. Nevertheless, the center right party in power has struggled in the face of repeated confidence votes, delaying reforms aimed at cutting deficits and debt. The austerity drive has angered Czechs and sent the cabinet's approval rating to an all-time low of 16 percent. The government did not survive last Friday's confidence vote. Romania - Romania's left-leaning opposition will try to form a new government after torpedoing the centre-right cabinet in a confidence vote on Friday, the latest collapse of an austerity-minded ruling coalition in Europe. Germany - There are calls for a referendum on the Fiscom and ESM and failing that, a constitutional challenge. The official situation is like this: the final vote in parliament #ESM and the FisCom is expected mid-June, shortly before the ESM is taking effect. - "#EUSSR: THe eURo iS SinKIng & sO Is tHE reST of EUroPE"
- "#EUSSR: Welcome in the Fiscal Compact #FU"